It’s true! It’s true! The weather report says Friday night will be around 83° and no chance of rain. 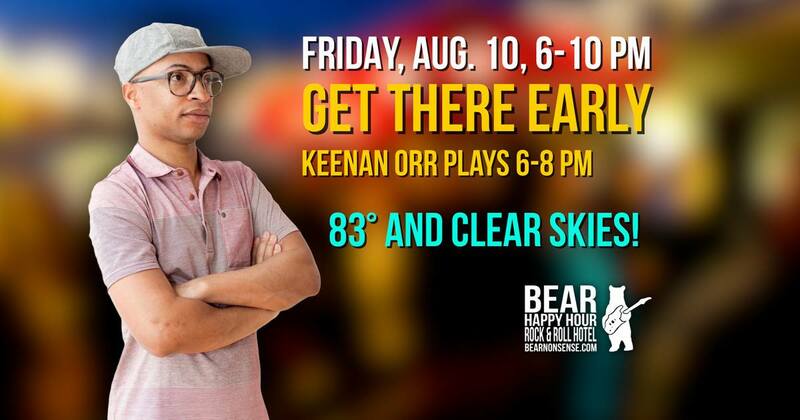 Plan to meet your friends at Bear Happy Hour at Rock & Roll Hotel for a beautiful evening on the rooftop. I’m proud of how guests at Bear Happy Hour at Rock & Roll Hotel are pretty good with SAYING HI to new guys or couples who are out looking to socialize. Keep it up! Moments like these continue to make us one of the friendliest spots in DC gay nightlife.